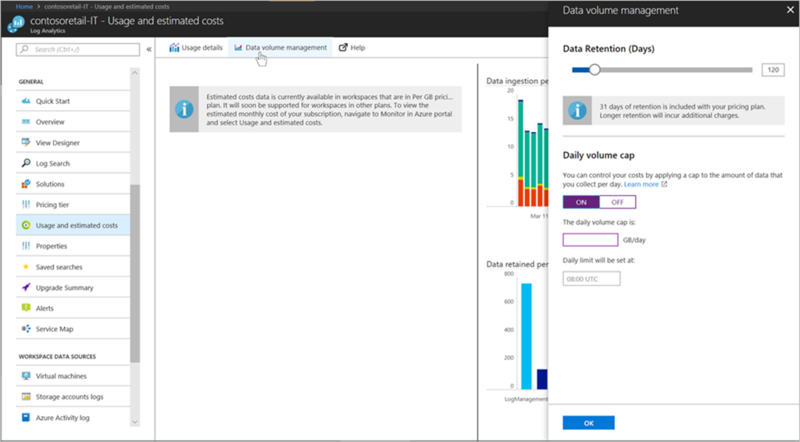 In Azure Log Analytics, you can enable the daily volume cap and limit the daily ingestion for your workspace. The daily cap can help you manage unexpected increases in data volume from managed resources and stay within your limit. Or, the feature can simply help you limit unplanned charges for your workspace. The feature is deployed and available in all regions. Learn how to manage costs by controlling data volume and retention in Log Analytics.